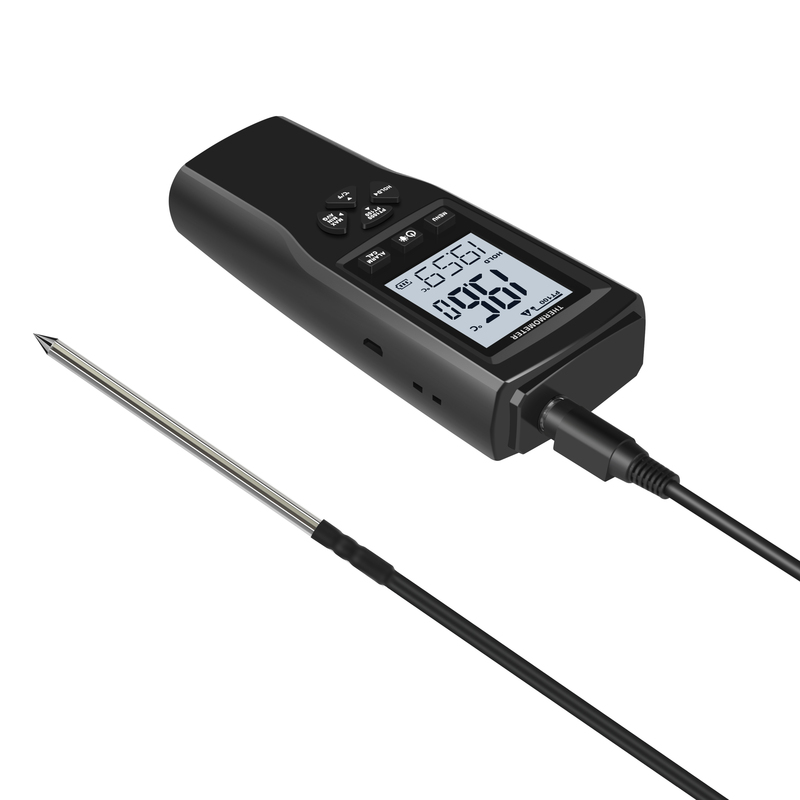 YET-710 supports -200ºC to +800ºC wide measurement range, the actual measuring range is based on the probe range. 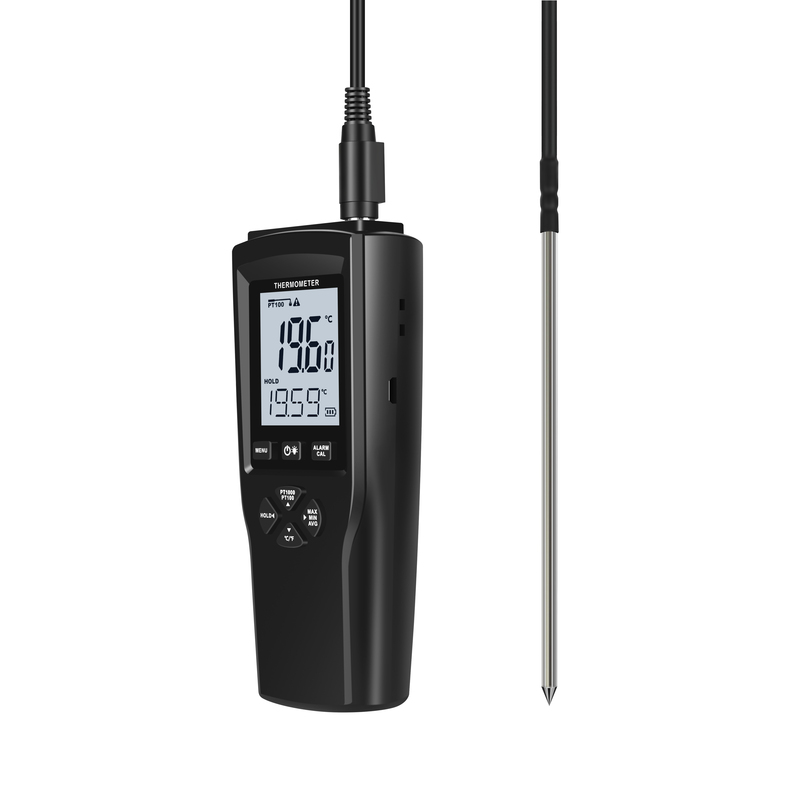 Widely used for industrial measurement, HACCP, high and low temperature monitoring field, calibration equipment, food industry and medical field. 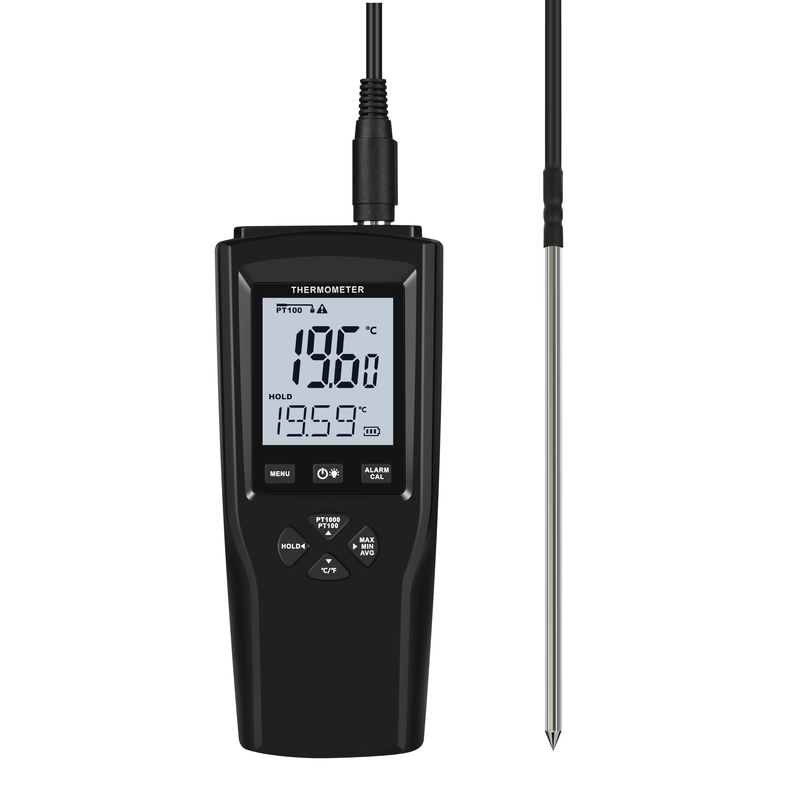 User can select different probes to meet the corresponding measurement demand. Probe PT100(385), PT1000(385) temperature probe. 4-Wire. Main products：USB Temperature humidity data logger | WIFI Temperature humidity data logger |GSM GPRS temperature humidity logger| Web real-time monitoring system| 4-20mA data logger| 0-30V Voltage data logger| Coating thickness gauge| LED large display temperature humidity | multi-channel thermocouple data logger | PT100 PT1000 thermometer etc.